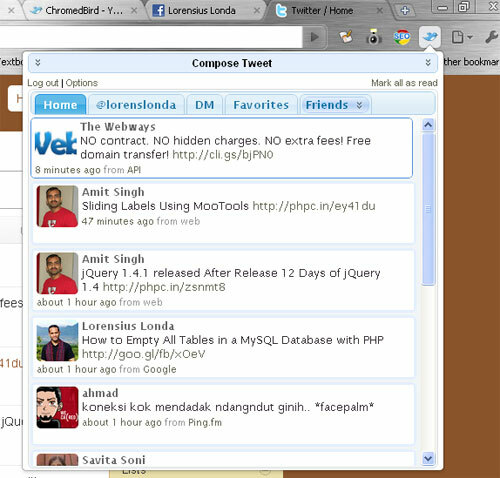 Chromed Bird is a Chrome extension that allows you to follow your timelines and interact with your Twitter account from Google Chrome browser. Current version of the time of this writing is 1.5.0 (2010-01-24). Tweets caching to avoid hitting Twitter’s API rate limit. Currently (1.5.0) only for Chrome Beta and Dev channel releases.